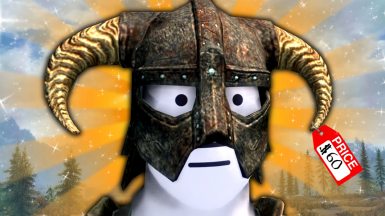 A comedy quest mod that makes Skyrim more like Fallout 76. Mod comes in 3 parts. NPCRace adds the playable NPC Race to the game. NPCReplace does the mass replace of (almost) all charcters into NPCs. NPCQuest replaces the games main story with a new custom story. Extract the Skyrim76v1.2.zip into your Skyrim Data folder and activate the ESP files you want to use. Skyrim76 is not compatible with Alternate Start and requires a NEW SAVE GAME FILE to work correctly. You must start a new game for this mod to work.